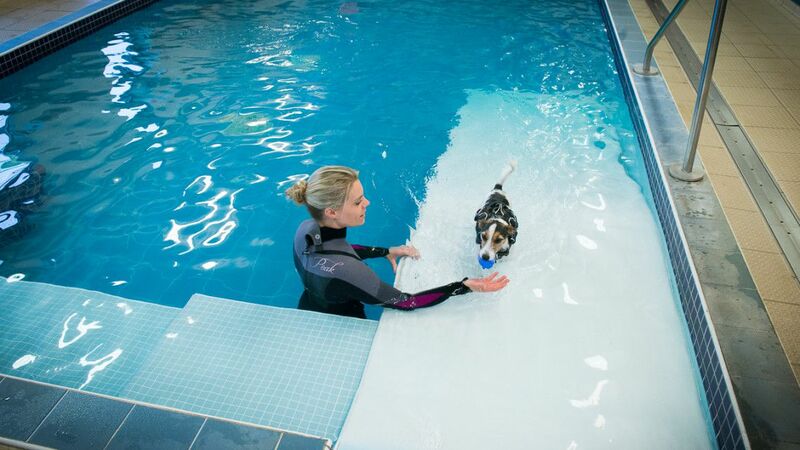 At Fitzpatrick Referrals we are fortunate to be able to offer both a large hydrotherapy pool and an underwater treadmill (UWT). These both allow specific benefits for our patients. 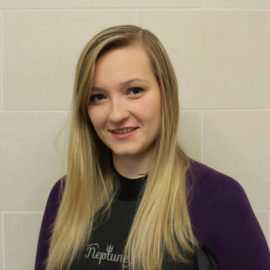 The warmth of the water provides a medium that assists with pain relief and the reduction of muscle spasm. By immersing a patient, support is provided and this allows more ability to mobilise and create normal movement patterns. Cardiovascular fitness can be increased more easily in the water, this is perfect if a patient is on restricted land exercise. Finally, the hydrostatic pressure can aid swelling reduction. 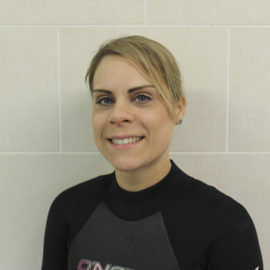 All patients referred for hydrotherapy will firstly have a land-based physiotherapy assessment with one of our Chartered Physiotherapist so that appropriate treatment aims and goals can be set. 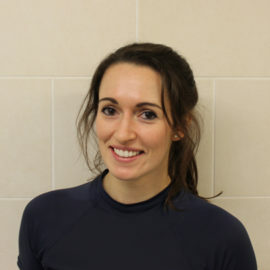 During this time you may wish to incorporate some physiotherapy exercises as suggested by the chartered physiotherapist. 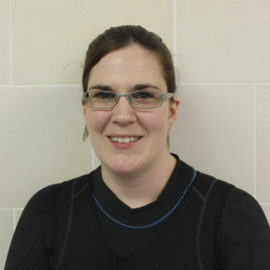 A treatment program is then designed and handed over to the hydrotherapy team. The treatment program might require both the pool and underwater treadmill therapy or just one particular tool. Most often, gait re-education is performed in the underwater treadmill, whereas general strengthening, cardiovascular conditioning and joint mobilisation can be performed in the pool. Our pool also offers “balancing pods”. 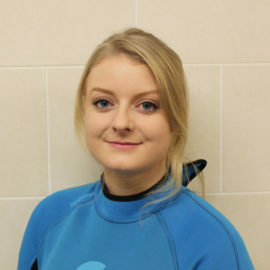 These are underwater platforms that allow specific physiotherapy exercises to be performed that might on land be difficult including supported stretching, balance and core stability training. The combination of the water and the support of the platform makes for successful administration of rehabilitation. Our heated pool has a long sloping ramp for easy access, and our patients swim individually with one or two hydrotherapists in the water. 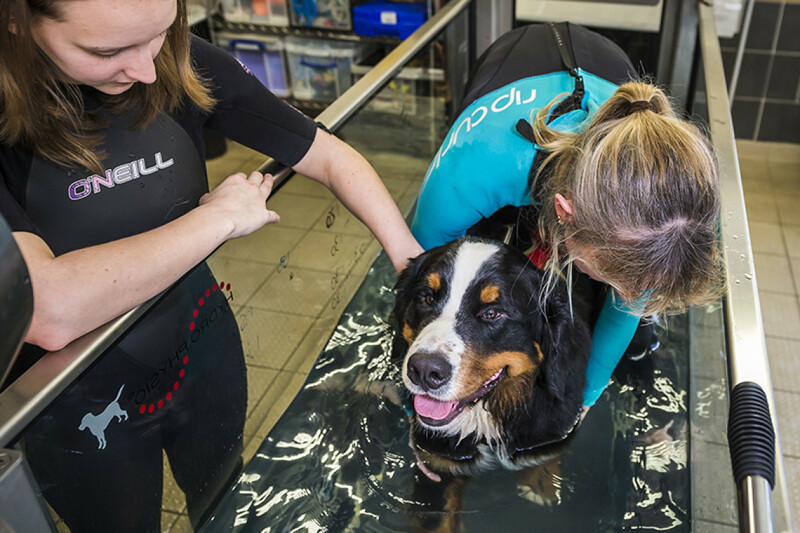 We find hydrotherapy to be a very useful tool in the rehabilitation of dogs of all sizes and breeds and cats with a variety of orthopaedic problems, for post-operative recovery, to ease arthritis, to increase mobility generally and as an integral part of a weight loss programme. To commence the hydrotherapy session we gently encourage the patient into the pool, asking the client to sit nearby. We spend some time massaging our patient and perform some gentle balance and stretching exercises on the balancing pods giving them time to adjust to the environment before taking them for a gentle lap of the pool. 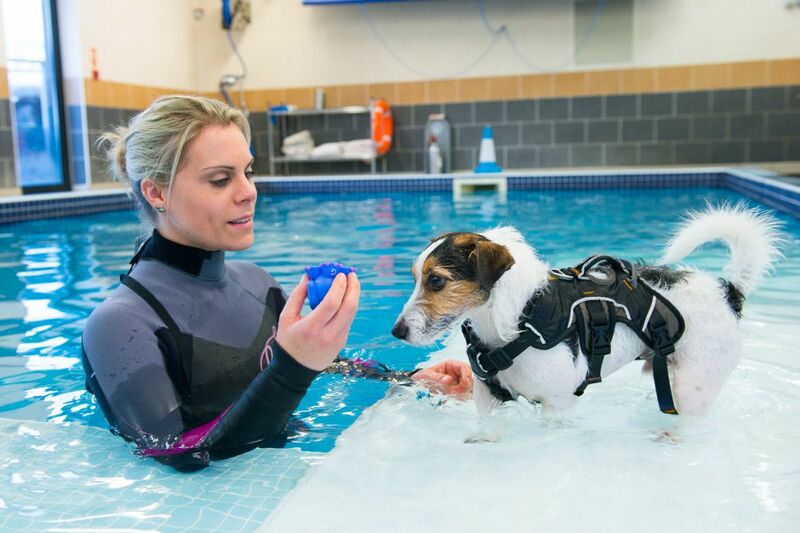 We encourage clients to walk around the pool just ahead of their pet, encouraging and reassuring them all the time. The first session is very gentle so as not to exhaust the patient or overtire their muscles. The first session gives us a benchmark for their next appointment. For a first session, we might only do one lap of the pool, or we might do five, it all depends on the patient’s response and their requirements. Being in a pool is very different to being in a muddy pond when the bottom can’t be seen! 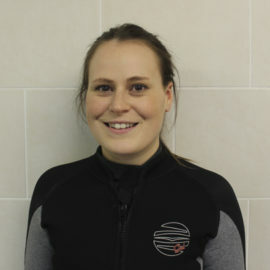 Each patient responds differently to hydrotherapy and is, therefore, a challenge and is definitely one of the reasons we love our job so much. 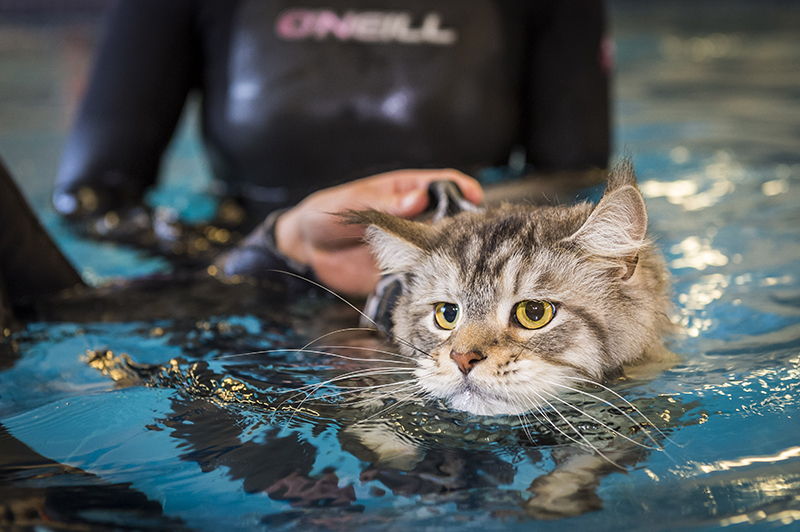 Despite the fact that cats are not naturally water lovers, we have been swimming cats successfully now for several years and find it can be a useful adjunct to the physiotherapy they would normally receive following surgery. To commence the underwater treadmill we prepare each patient just the same as if we were performing hydrotherapy in the pool with an appropriate jacket. We gently lead the patient into the four-glass-sided underwater treadmill chamber and stay within the chamber to give maximum reassurance especially on the first session. The glass doors on either end are securely sealed and the water is filled within the chamber to the desired level depending on the goals you are trying to achieve. 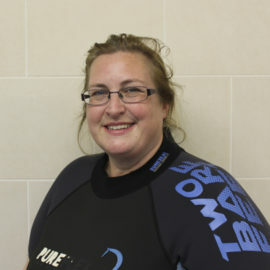 But in principle the higher the water level rises in relation to the patient’s body the more buoyancy that is provided. One the appropriate water level has been achieved the treadmill is started at the appropriate speed to encourage steady walking or trotting gait. Again depending on the aims of the therapy your dog may do many short bursts of treatments in the one session or one longer one. 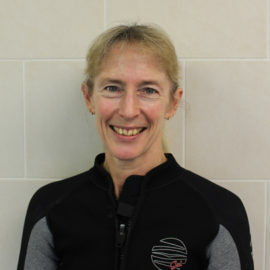 We will be able to advise what is best in accordance with the chartered physiotherapists’ plan. Our hydrotherapy pool is open to all. To arrange an appointment, your primary care vet will need to send us a referral.